We started using your product when a friend suggested it might be good for Molly who is 12 1/2 years old and has arthritis. She has had both ACL’s in her back legs renewed as well, so we want to keep her moving. 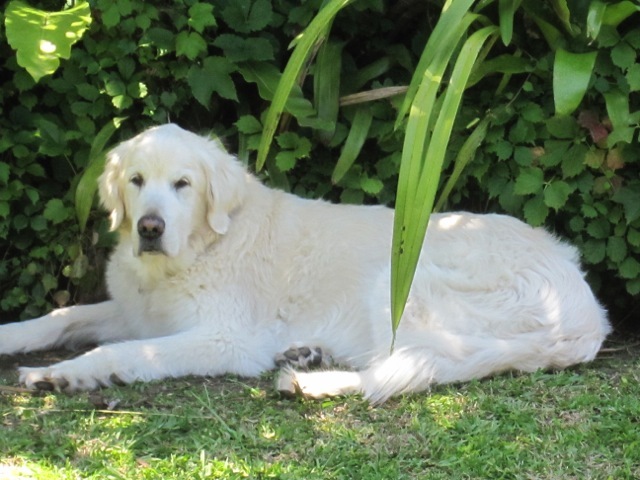 She was having an injection to help with her arthritis about every six weeks, but since she has been having your product daily in her food, there has been a marked improvement in her movement. We have not given her the injection for the past 8 months as she moves more easily, and does not seem so stiff in the mornings like she used to be. We are hoping that this continues, so she can still have her walks for as long as possible!